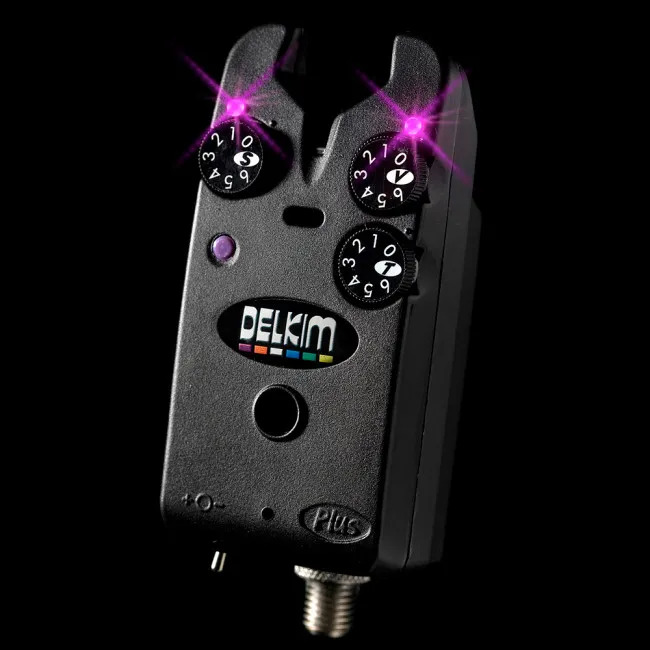 Widely regarded as the best bite alarms on the market, the Delkim Plus Bite Alarms set the benchmark for other bite alarms to meet. If you’re looking for a bite alarm that offers sensitivity, controllability, versatility, and reliability then you need look no further than then Delkim Plus. With a patented 100% vibration sensing system, the Delkim Plus is able to indicate the speed of the line as well as sensing the vibration at the rod tip or terminal tackle. 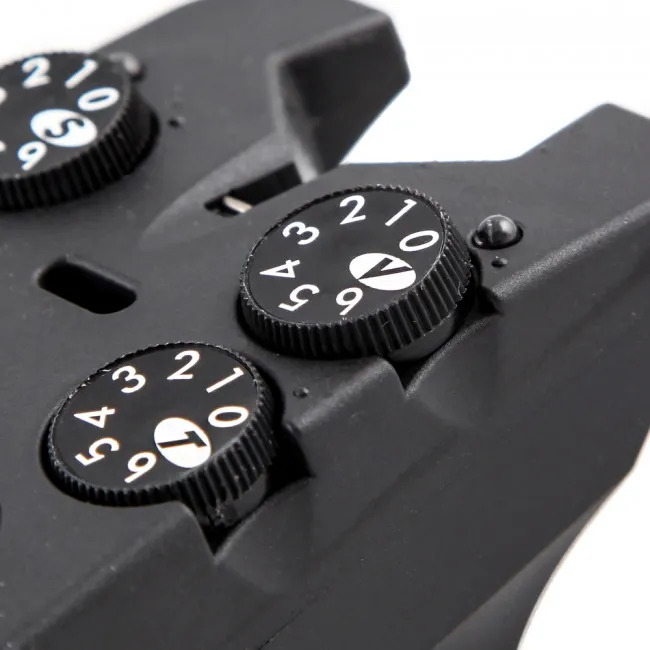 With two sensitivity ranges you’re able to adjust the point at which your alarm starts to scream, perfect for when weather or water conditions would make duller sensitivity the preferable option. 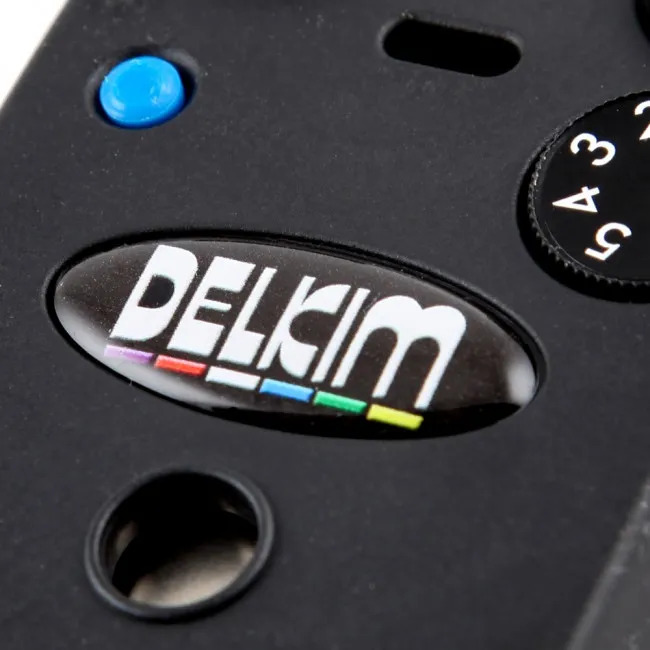 The Delkim Plus is able to sense this without the use of moving parts, ensuring your bite alarm has an incredible lifespan as moving parts are often the first to break. 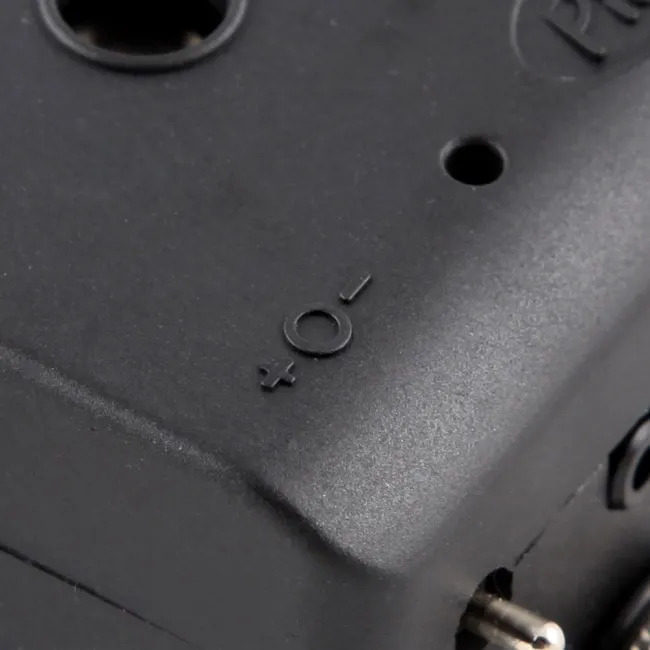 With a wide tone range you are able to appoint each alarm with its own unique tone. 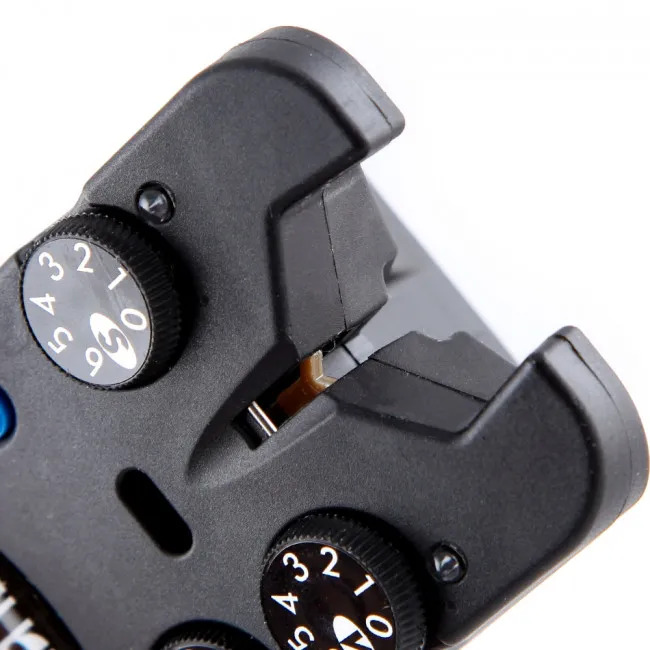 This is perfect for carp fishing when you routinely get night-time takes, as well as for angling in the daytime, as you’re able to quickly and easily go to the rod with the take. 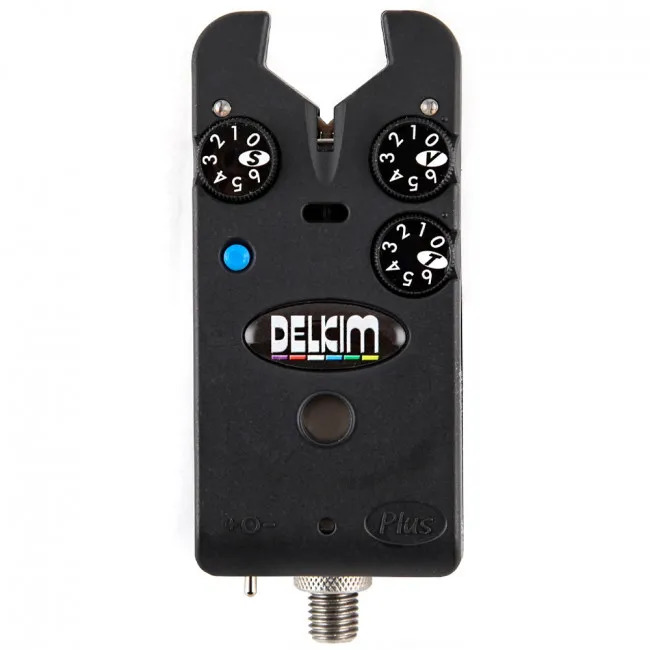 The Delkim Plus also allows for fine volume adjustment between 0 and 100 decibels, enabling you to use your alarm silently with a receiver for stalking as well as allowing your alarm to shriek to get your attention. This bite alarm is available in six different LED colours. These appear as twin super bright clear flash and latch LEDs on the ears of the alarm, giving an unmissable indication when a fish takes. These LEDs have five different modes of operation to allow for changing light conditions, including a super bright setting for bright daylight and a duller setting for night-time fishing when you don’t want to be blinded by your bite alarm! 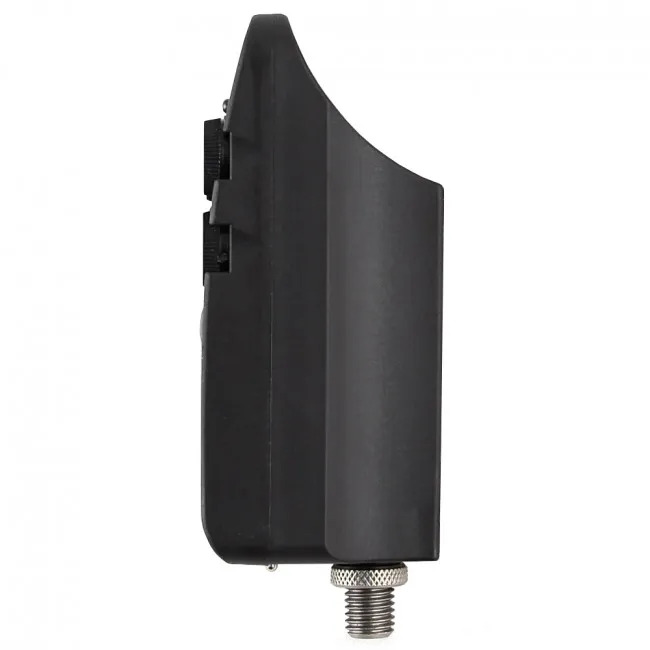 With expert Delkim construction, this Bite Alarm Plus offers all weather reliability. Perfect for carp fishing, the alarm comes with a two year guarantee and is sold in its own hardcase. 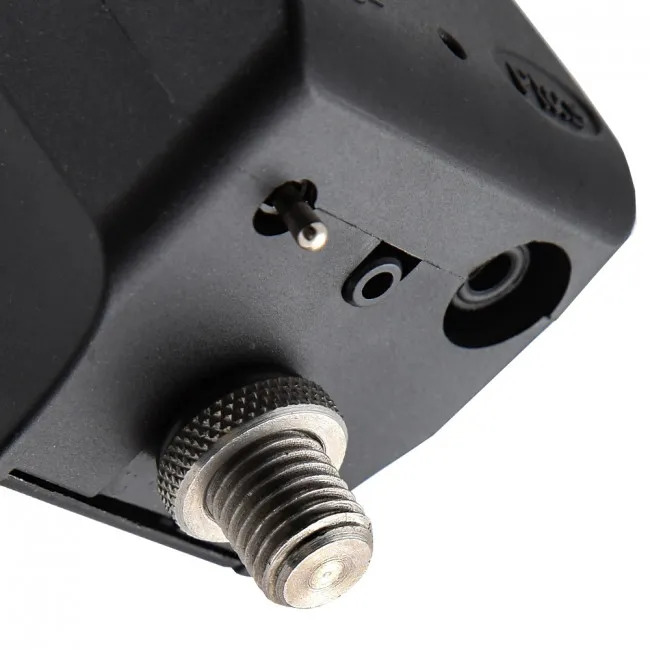 The alarm is powered by one 9V PP3 battery (not included) and has low battery warnings so you are never let down by an out-of-power alarm when you need it the most! Perfect for use with the Tx Plus Micro Transmitter and the Rx Plus Pro Mini Receiver the Delkim Bite Alarm Plus is the ultimate in bite alarm software for anglers’ across the disciplines. Bought these before and will again. Bombproof! Delkim, the name speaks for itself really. Quality & reliability. Perfect! Best run sound of any bite alarm! Really well built. Very happy husband he loved the bite alarm. 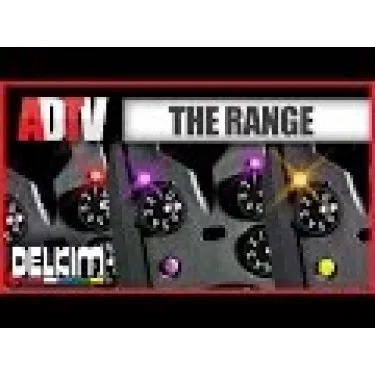 I'd be lost without my Delkims - have two TXi versions, this is identical but no transmitter - great for when I have a three rod set up, which you can't do everywhere. Quality and value without compromise! It's Delkim so it's got to be good. Really pleased, quality product. Well built, great looking alarms. Excellent Service, Highly Recommend, like the website nice and easy to use.